Painter, sculptor, draughtsman, printmaker and performance artist Jim Dine was born in Cincinnati in 1935. Along with Claes Oldenburg, Robert Rauschenberg, Jasper Johns, James Rosenquist, Roy Lichtenstein and George Segal, he is universally considered as one of the leading lights of the generation that won renown in the late 1950s and early 1960s as part of the Neo-Dada and Pop movements. 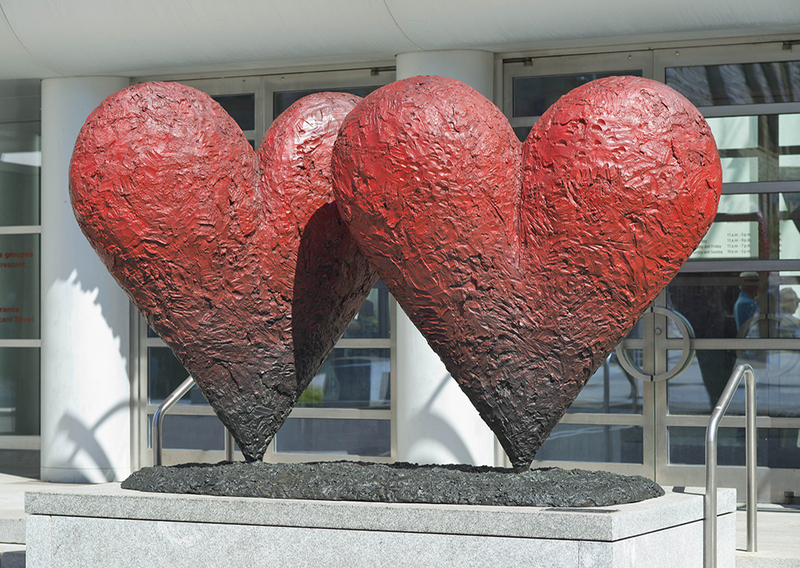 Like those others, Jim Dine developed an eminently personal artistic vocabulary. A limited number of images—trees, tools, bathrobes, hearts, gates, palettes, Venus de Milo—run through his work, like multiple pathways to the imagination. These motifs, repeated time and time again, but always in different ways, have punctuated his oeuvre and made it exceptionally distinctive. 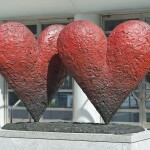 Among the artist’s most cherished images is the heart, or rather the symbol of the heart, the one used to signify love.